Want more power from your BMW F8X M3 and M4? 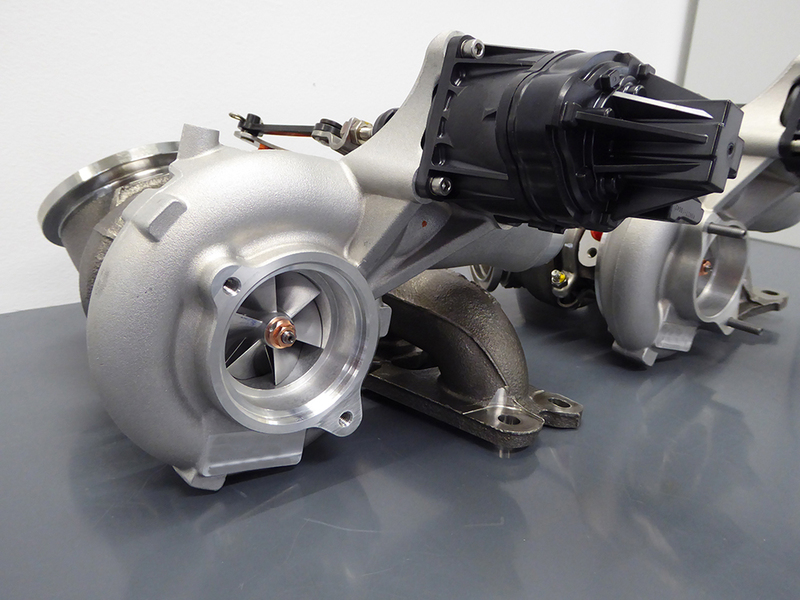 Then you need to upgrade to our VAC Turbocharger Sets for the S55 engine. This set is made using the OE manifolds so it is a perfect drop-in replacement, which will easily perform to 600+ HP and function with perfect reliability. The Stage 1 Front Turbo has a 56mm Compressor Wheel and a 47mm Turbine. The Stage 2 Front Turbo has a 58mm Compressor Wheel and a 52mm Turbine. The best part about these set is that NO CORE TURBOCHARGERS ARE REQUIRED!! !